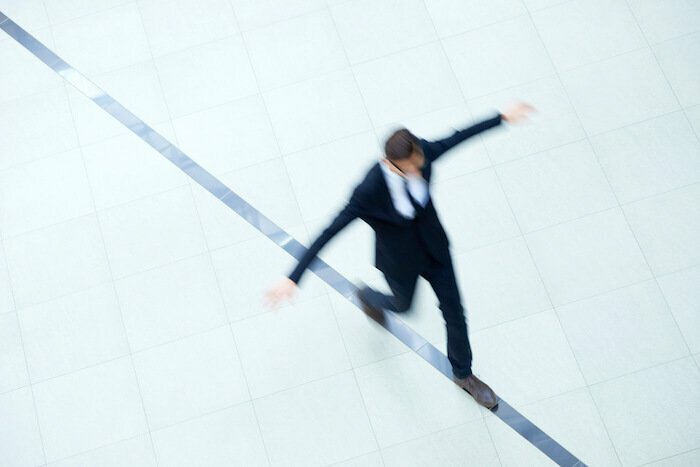 Work-Life Balance is a frequently used term in today’s hectic business world. There is no client in my Executive Coaching practice who does not suffer from an overwhelming workload. Often times these managers put their health at risk, not to mention their intimate relationships. Consequently, I felt triggered to set up a dedicated program for Work-Life Balance Coaching. * The coaching clients in this program go through a structured five steps process. As busy managers they may need some time initially to identify what matters most in their lives. They need to elaborate and follow through on an effective action plan. As a result of the Work-Life Balance Coaching they ultimately achieve success in the office and at home. I have to admit that at first I was very reluctant to use the term “work-life balance” for my coaching. In fact I find the term misleading, wrong and ridiculous. “Work-Life Balance” is obviously about balance between work and life. Doesn’t this imply that life and work are different, eventually opposites? Does it mean that when you are working, you are not living? And when you are not living then aren’t you… err… dead? That sounds sad, doesn’t it? However, this is the bitter truth for many professionals these days. When you don’t have “work-life balance”, something is terribly wrong in your life, and you better act upon it. I know what I am talking about because I have been there before. Today however, people envy me because I have stopped working. I only live. I found a “work” that I enjoy. I am passionate about what I am doing, and it is fulfilling and rewarding. -What are you truly passionate about? What are the things that make you jump out of bed in the morning, excited about the day ahead? -What can you do particularly well? What are your natural strengths – which you are eventually not aware of yourself? Ask your friends! -How can you ultimately use your skills & talents to add value to other people’s life so that they will be happy to pay you for what you are doing happily? It does not necessarily mean you have to quit your job. It may suffice to check how you can make your job more enjoyable. Changing perspective or saying “no” more often may work wonders. *update: the former program “Work-Life Balance Coaching” is no longer available as such. However, you might still find what you are looking for in my new CEO Coaching program: as a top level executive your career and your business are important to you. Sometimes however, you feel that you sacrifice your personal life, and you do not want to put your health or your marriage at risk. Perhaps you are also looking for more meaning and fulfillment in life. CEO Coaching helps you focus on what matters most, and be successful in the office and at home. Thank you. I hope you are living life to the fullest!